The renowned West African titan of modern literature, Nigerian author Chinua Achebe, has died at the age of 82 after a brief illness. A statement from his family said his “wisdom and courage” were an “inspiration to all who knew him”. One of Africa’s best known authors, his 1958 debut novel Things Fall Apart, which dealt with the impact of colonialism in Africa, has sold more than 10 million copies. He had been living in the US since 1990 following injuries from a car crash. The writer and academic wrote more than 20 works – some fiercely critical of politicians and a failure of leadership in Nigeria. South African writer and Nobel laureate Nadine Gordimer called him the “father of modern African literature” in 2007 when she was among the judges to award him the Man Booker International Prize in honour of his literary career. Things Fall Apart has been translated into more than 50 languages and focuses on the traditions of Igbo society and the clash between Western and traditional values. The Anambra state government in Nigeria first made the announcement about his death. Analysts say in Igbo society the death of an important person must be announced by someone in authority. His home state was in mourning for the death of “the illustrious son of the state, Nigeria and Africa”, Mike Udah, spokesman for Anambra state governor Peter Obi, told the BBC. 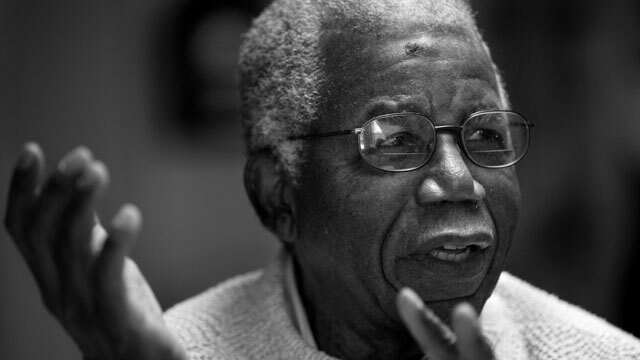 A statement released on behalf of his family said Mr Achebe was “one of the great literary voices of his time”. Nigeria’s President Goodluck Jonathan said Mr Achebe’s admirers had all learnt “indelible lessons of human existence” from his works. “Achebe’s frank, truthful and fearless interventions in national affairs will be greatly missed at home in Nigeria because while others may have disagreed with his views, most Nigerians never doubted his immense patriotism and sincere commitment to the building of a greater, more united and prosperous nation that all Africans and the entire black race could be proud of,” the president said in a statement. Last year, Mr Achebe published a long-awaited memoir about the brutal three-year Biafran war – when the south-eastern Igbo region tried to split from Nigeria in 1967. After leaving Nigeria, he worked in the US as a professor. His 1990 car accident left him paralysed from the waist down and in a wheelchair. A statement of the Nelson Mandela Centre of Memory said it offered its condolences to the Achebe family. The former South African president and anti-apartheid fighter, who spent 27 years in jail, “referred to Prof Achebe as a writer ‘in whose company the prison walls fell down'”, the statement said. One great writer. Will be dearly missed.